meals consisting of some kind of meat in a wine-garlic-onion combination. Seriously. We ate a LOT of meat with wine, garlic, and onion on it. But my dad is a great cook. He taught me how to make a white sauce and how to keep tweaking until it tastes right. And there were a few of his creations that became family staple recipes. Like this salad. 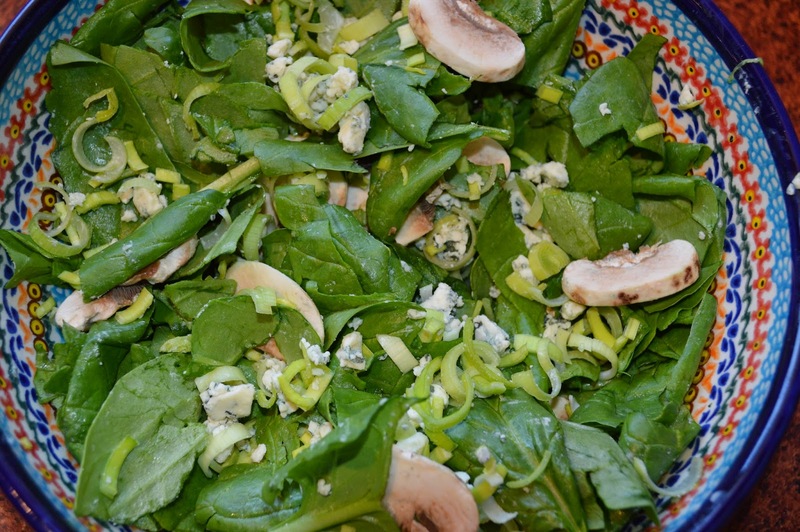 Dad created this salad using spinach, blue cheese, leeks and fresh mushrooms. 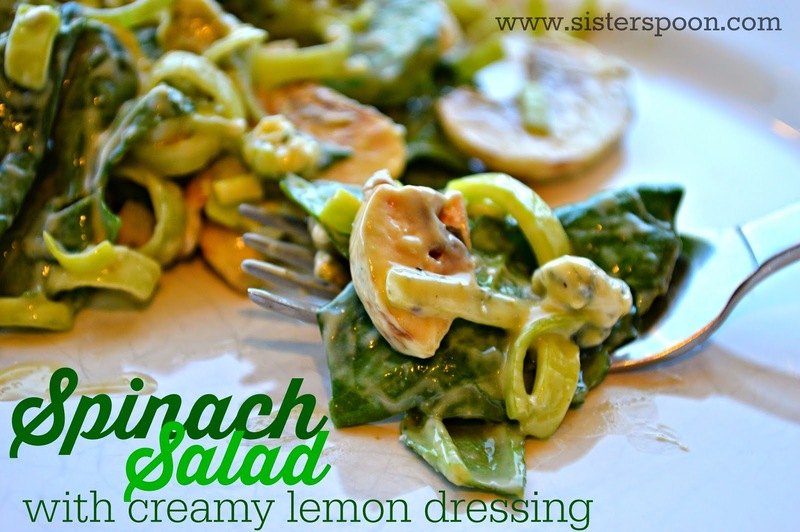 He also developed this lovely tangy lemony dressing that pairs really well with all those other flavors. The hard part was figuring out measurements, because dad doesn't really measure all that much. He just throws it in there. On many a birthday I have requested dad's shrimp pasta and this salad. Mmm. I think I may be salivating. Thanks for the recipe, dad. So, we need to prep the salad ingredients. Which means make sure there's no dirt or bugs in them and reduce them to bite-sized pieces, manageable on a fork. 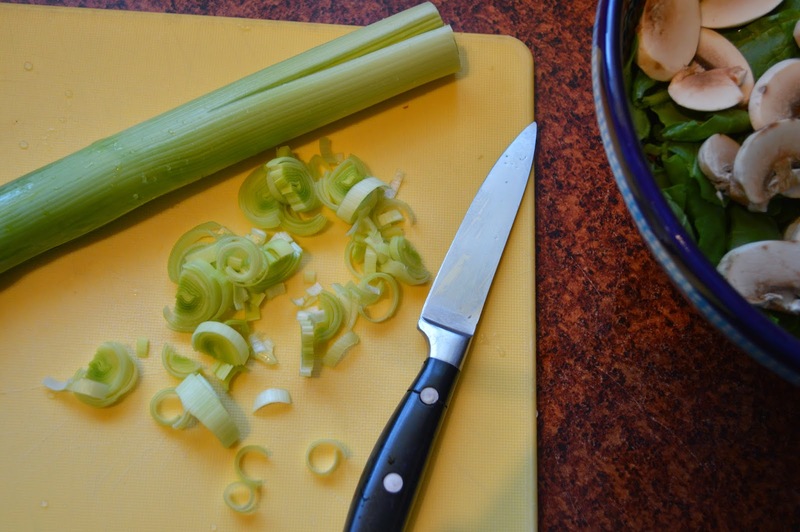 If you haven't used leeks before, this is how you slice them. After washing, make a cut lengthwise down the leek, and then slice it in thin half-rings..
Everything else is pretty self-explanatory. 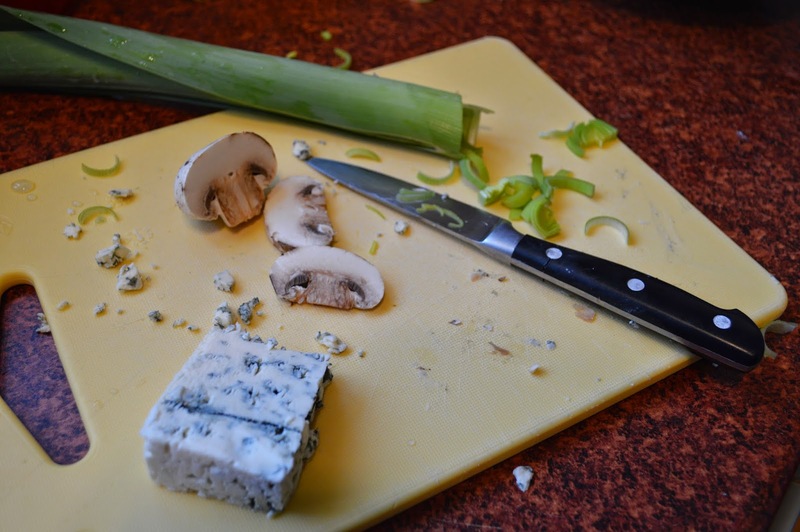 Wash and tear up the spinach (remove large stems), and wash and slice the mushrooms (remove large stems). Crumble up the blue cheese. 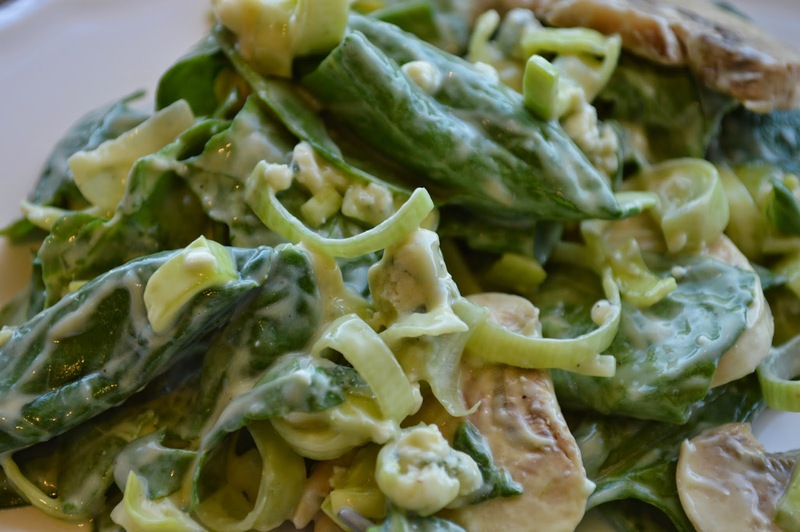 Toss it all together and let it co-mingle while you make the dressing. Use a fork. Mix it all up. Wait until just before you serve the salad to toss the dressing with the salad. This is not a salad that will keep. Which is fine, it'll all get eaten anyway. 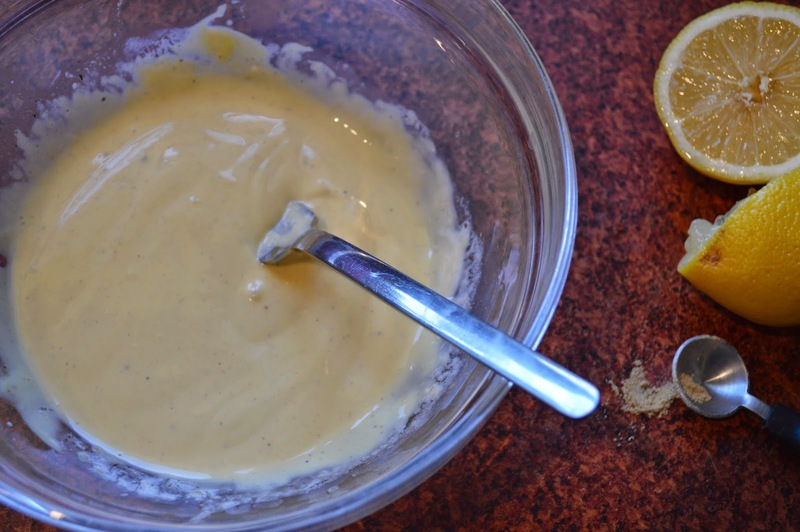 Mix dressing ingredients together with a fork. 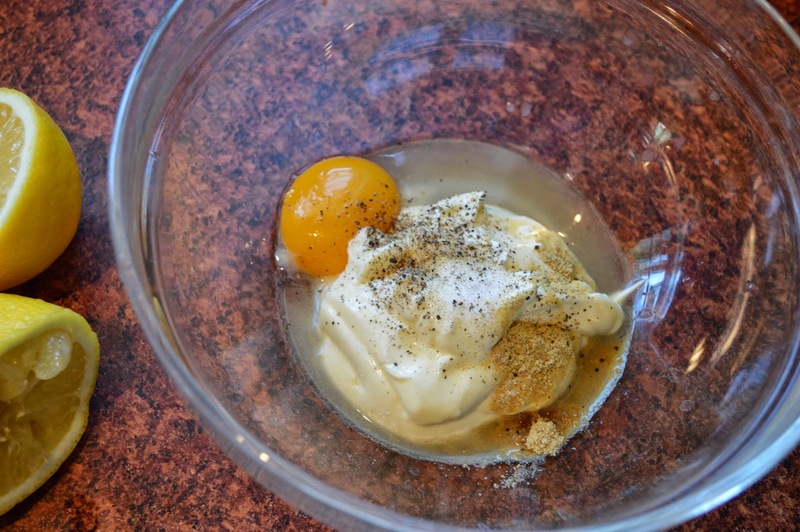 Toss salad ingredients together in a salad bowl. Add dressing and toss again just before serving.